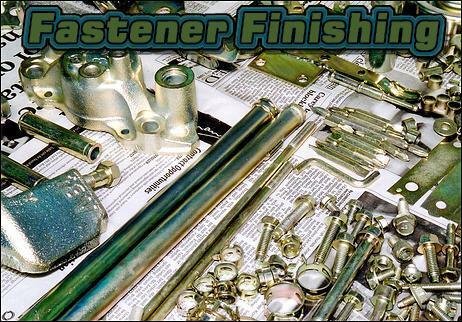 Tired of grubby looking fasteners and components? Get them zinc plated and gold passivated. This article was first published looooong ago. But nothing much has changed. 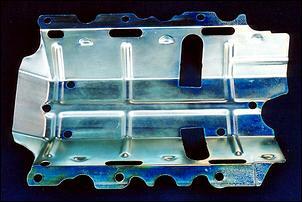 Car manufacturers often fit zinc plated and gold passivated metal components - and with good reason. Zinc plating serves to protect against corrosion, while gold passivating adds further protection plus an attractive long-lasting surface finish. 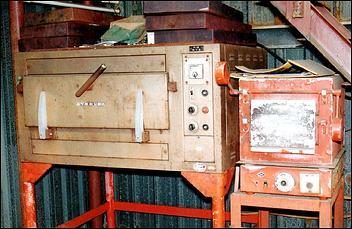 Note, however, that plating and passivating services are also readily available - quite cheaply - for the privateer. What Parts Can You Get Zinc Plated and Gold Passivated? 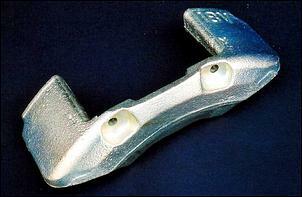 There are virtually no limitations as to what metal parts you can have treated. 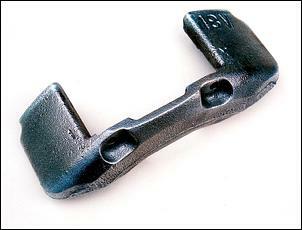 However, one of the most likely candidates for the zinc-gold process are fasteners - bolts, nuts, screws and washers. 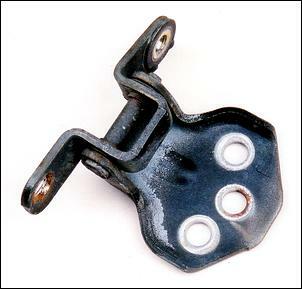 All too often we see a shining underbonnet setting let down by grubby fasteners. Seen here is a load of metal components that AutoSpeed reader - Mark Smith - recently had plated and passivated. 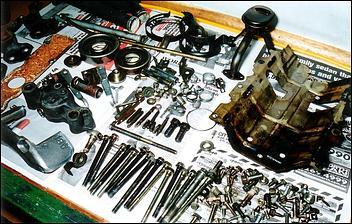 Amongst a huge number of fasteners, Mark threw in door hinges, a sump pick-up, pullies, brake calipers and more. Indeed, any components can be zinc plated and gold passivated so long as the coating is not required to flex a long way. Like any form of surface finishing, best plating and passivating results come after your components have been carefully prep'd. Areas with major rust or any other imperfections should be rubbed back or wire wheel'd. 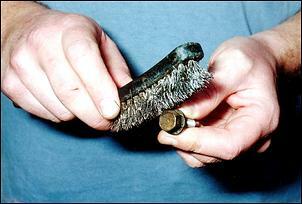 Note that - despite popular opinion - grit blasting is said to dull the final surface finish. As always, doing any necessary prep work at home will save you money. 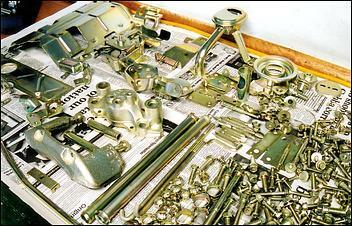 Once you've dropped off a load of components, your entrusted metal coaters will commence works by zinc electroplating. 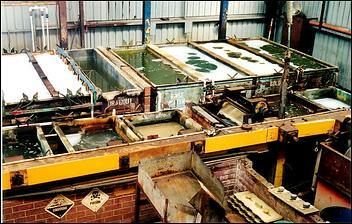 Electroplating is a process that forms a metallurgical bond between the coating and the substrate metal. 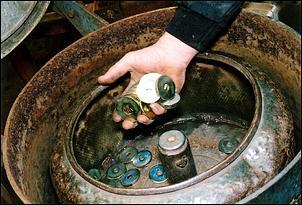 The most common and affordable method of electroplating is 'barrel plating'. This process is designed to accommodate small to medium sized parts, while 'rack plating' is intended for larger items. 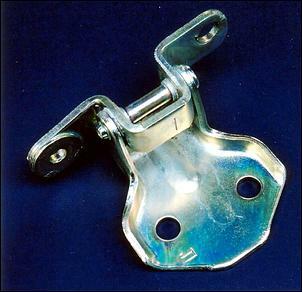 Barrel plating begins with throwing your components inside separate compartments of a perforated barrel. Each compartment is only partly filled to give space for the components to tumble around inside. A mechanical drive system then starts rotating the barrel, and it's immersed in an alkaline cleaner tank for around 20 minutes. The tumbling action of the components helps the solution get into all nooks and crannies and strip away any light oil and grease. 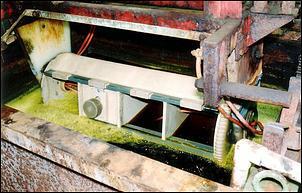 The (still rotating) barrel then passes through a water rise tank followed by a 20-minute hydrochloric acid dip. The acid removes any minor rust and scales, neutralises any residual alkalinity and 'activates' the surface of your components. After splashing through the second rise tank, the components are then ready to be plated. 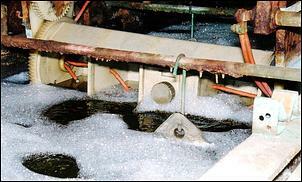 The zinc plating process involves a tank containing large blocks of zinc salt. A negative DC charge is applied through the barrel (and, accordingly, through your components) while the zinc salts receive a positive charge. A current of 500-1000 amps is typically applied, depending on the size of the load. The polar attraction causes dissolving salt particles to cling to your (still tumbling) components; a metallic bond is formed upon contact. The length of time that your components are left in the plating bath will determine the thickness of the coating - around 20-30 minutes is fairly typical for most fasteners. Certain high stress components - such as high-tensile bolts and springs - must be immediately baked in a furnace (at around 200 degrees C) after they have been plated. This step is aimed at driving out any hydrogen gas in the metal surface, therefore reducing the chance of embrittlement. Most items, however, do not require baking. A passivate (aka chromate coating) is applied over the top of the zinc plating to harden the surface, prevent white and red rust and - of course - to give the desired colouring. Passivate comes in several colours - gold, blue, black (aka olive drab) and more. Each also offers different levels of corrosion protection (gold being about middle-of-the-road and black being the most durable). After the zinc plating has been applied, the barrel passes through yet-another water rinse and into the appropriate colour passivate tank (in this case, gold). Typically, this bathing takes around 30 minutes, but - again - it depends on how thick the coating has to be. After the passivate has been applied, the rolling barrel enters its final rinse tank. The last step is to manually remove the components from the barrel and put them into a spin-drying unit. 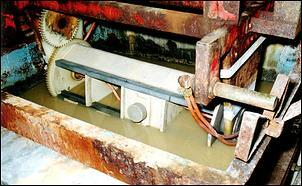 This drives out any leftover water or chemical and prepares the components for handling. This large load of components that Mark Smith sent off to be plated and passivated cost him only AUS$30 - which was this particular coater's minimum charge. Depending on the company's workload, it's typically recommended to drop the components off and pick them up a couple of days later. As you can see, components that had previously looked very grubby returned totally rejuvenated. The vast majority of them received a perfect surface finish, however, some displayed small areas of roughness (as seen on the edges of this sump baffle). This - we are told - is due to insufficient prep cleaning. Of course, in addition to their improved appearance, the newly plated and passivated components will also benefit from greater corrosion protection. While its difficult to quantify how much corrosion protection is added, it's safe to say that the improvement will be worthwhile; after all, car manufacturers don't plate and passivate parts for fun. As mentioned, the time that your components are immersed in the plating and passivating tank will determine the final coating thickness. Around 30 minutes in each tank ensures that the threaded fasteners remain operable; the overall coating is only a few microns thick.